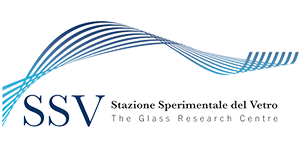 The thermophysical properties of the raw materials used in the production of glass are of crucial importance in determining the dynamics and kinetics of the melting process of the vitrifiable mixture. The thermo-gravimetric curves, the transformation temperatures, the latent reaction heat, the specific heat determined by LOI, TGA, DTA and DSC tests constitute precious information for the preliminary evaluation of the possible behaviour of the mixture after it has been placed in the furnace and allow to make informed choices of supply in relation to the specificity of one’s own production system. The goal of the analysis is to determine the characteristic temperatures at which raw materials undergo physical transformations with weight change (e.g. dehydration, calcination, oxidation, etc). The variation of the weight of the raw materials as a function of a linearly increasing temperature (e.g. 5°C/min heating rate) is measured. This test method allows the determination of the temperatures at which physical, chemical or structural transformations (e.g. calcination, crystallization, etc) take place. The method compares the thermal behavior of a certain amount of sample material contained in a crucible and that of a reference material in a second crucible, allowing for example to identify the temperatures at which phase transformations of raw materials occur, or batch reactions start. When dolomite (Mg and Ca mixed carbonate) undergoes calcination reactions, the released CO2 can remain trapped at the core of the grains, causing a pressure buildup effect that can lead to the bursting (“decrepitation”) of dolomite particles into extremely fine fragments, which can seriously aggravate carryover problems in glass melting furnaces. 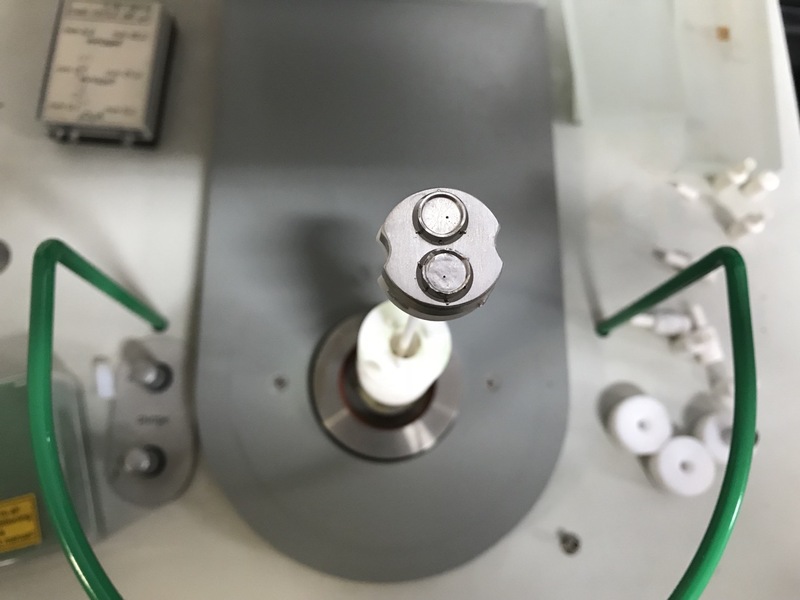 This test allows to determine the tendency of a certain dolomite to give birth to decrepitation phenomena, that are function of grain size, crystallite size, quarry, etc. Specific heat measurements allow to determine the thermal energy required to increase by 1 °C the temperature of a mass unity of material. These measurements allow also the evaluation of the configurational entropy, and thus contribute to a better understanding of the viscosity behavior of the material. A DSC measurement is based on the comparison between the thermal behavior of a sample in relation to a reference material: transformation temperatures during heating, like melting T or crystallization T, can be measured, and heat exchanges during these events can be quantified, allowing thus to measure their characteristic reaction energy.